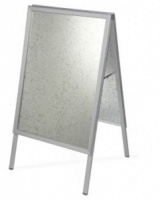 An outdoor blackboard is a great way to advertise your business and attract your customers attention. 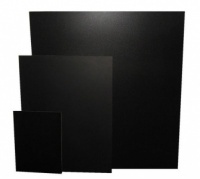 All the Chalkboards found in this category are suitable for exterior use, even in our lovely British climate! If you need a Chalkboard at a size you cannot see here, just ask us for a quote and we will get back o you as soon as possible. Please note, that in severe weather conditions we do not recommend leaving exterior chalkboards outside as this can lead to potential health and safety issues. We will not be held responsible for any damages caused by an exterior chalkboard if left out in severe conditions.